Pansonite Premium 3D VR Glasses with Adjustable Lenses & Head Strap, More Lightweight and Comfortable Virtual Reality headset for 3D Movies and Games, Fit for iPhone and Android Smartphone (black) by Pansonite at DJ Luu. MPN: 6097777630954. Hurry! Limited time offer. Offer valid only while supplies last. 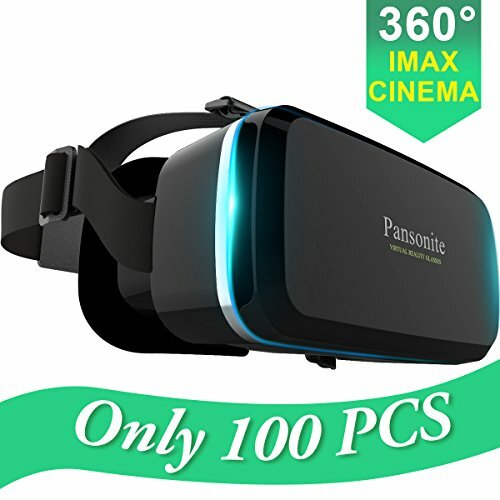 Pansonite 3D VR Glasses, the best gift for kids and friends! We all know that once you are actively using a VR Headset, you always want it with you.